We love a good costume designer hack. When it involves Game of Thrones, even better. 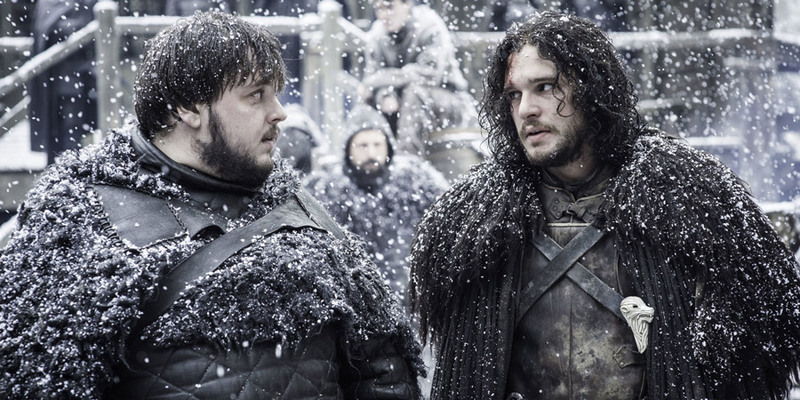 Apparently, those fur capes rocked by the Night’s Watch are actually altered IKEA rugs. Before you scour your house or apartment for a rug you can repurpose, IKEA just released specific instructions on how to make a makeshift cape. And yes, it’s laid out just like the retailer’s legendary furniture instructions — just a lot less complicated with only three steps (no inserting slot A into slot B here). First things first: you need to get a rug, preferably from IKEA, preferably sheepskin, but it’s a small price to pay to coordinate with the resurrected Jon Snow. Then simply cut a hole in it with a slit in the front for proper draping effect. 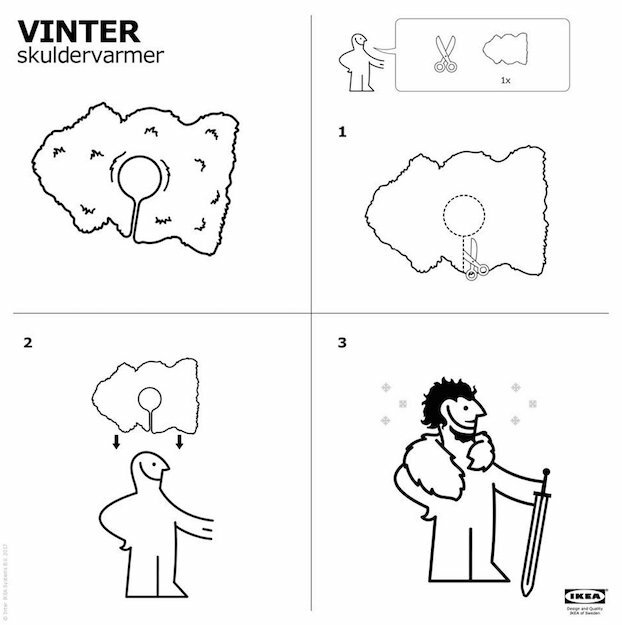 And there you have it, your very own Vinter Skuldervarmer. Sword sold separately. Trend Alert: Into Each Fashion Girl’s Life Some Chic Rain Gear Must FallAre We Finally Ready for Gender-Neutral Fashion?